Content marketing is becoming more fragmented and generally faster. With mobile and voice search on the rise, people are getting used to looking for information on the go: It’s getting more difficult to catch their attention. This means we need to create more content and more importantly, more diverse content playing with topics and formats. How to keep up with ever changing content marketing? Content repurposing is the answer! By repurposing content, digital marketers can maximize on existing traffic and visibility around key themes that have proven successful in the past. Let’s discuss how to find content that presents the most immediate opportunities. 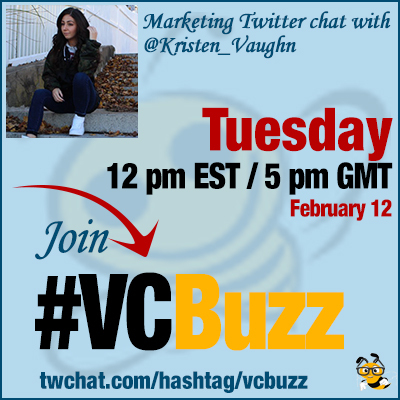 @Kristen_Vaughn is digital marketer focused on search engine optimization, content marketing, social media marketing and advertising, and analytics. I got in the digital marketing space right out of college, by sheer luck… since it wasn’t really something they taught in college at the time that I earned my Marketing degree. From there, I figured out SEO was also something I was passionate about and really where I wanted to take my career. This involved A LOT of learning from mentors & experts in the space, constantly reading, staying on top of changes, trainings, assessments, events, etc. And, even though I’ve been in the space for a bit of time now, I still do all of these things – if not, even more. Q2 What is content repurposing and how it works? Content repurposing involves leveraging an existing asset and altering the format to offer unique value, and reach new audiences. This tactic helps maximize on existing visibility and themes that have proven successful in the past. When refreshing content – you’re usually updating an asset for relevance, without changing the intent and format. Examples of refreshing content: including more recent statistics, updating cross-links/CTAs, expanding on information, changing headings. When repurposing content – you’re altering the format and even the purpose. As I mentioned before, this could include things like making a blog post into a whitepaper, articles into a cornerstone asset, SlideShare presentation into an article. Q3 How and where to start? How to plan an effective content repurposing campaign? Knowing your top performing content is a must. Watch content performance closely to help spike new ideas for repurposing. Existing topics and themes that have already proven successful present the most immediate opportunities for repurposing. These assets can then be repurposed to create fresh content for other platforms. When I say “top content,” I’m not just talking about traffic. What other metrics do you all think are important? Look into your top trafficked pieces over, ideally, the past couple of years. Figure out what assets are being shared most across social media. Find out what type of content is driving the most backlinks. We’ll go over some tools for this in a bit. Once you’ve realized your most successful assets, brainstorm ways to create fresh content that can be distributed across different channels – a blog, resource section, social media sites and even third party publications – to reach new audiences. When thinking about ways to repurpose this content, it’s important to consider the best channel/platform and the type of asset that will perform best. What stage of the funnel are they at? Where does this audience go to for information? What’s the most engaging way to deliver this information to the audience? Great point – look for cross-link opportunities. Q4 Are there good examples of content repurposing campaign you can link to for us to get a better idea? @Moz does a really great job with this in their Whiteboard Friday series. Each week, a ~10 minute video overviewing an SEO strategy is created. This content is then turned into a blog post, several images, and is distributed across channels – their blog, social media, etc. Another company that I think does a fantastic job repurposing content is @Emarsys. They create really extensive guides by compiling existing resources around the same theme. Here’s an example. Q5 What are your favorite content repurposing tools? Let’s go over the specifics of each. Use @googleanalytics to analyze top traffic drivers (Behavior–Site Content–All Pages–Pageviews). Expand the date range to look at content over the past year or so. This will spike ideas & even find underperforming assets that could be more valuable if combined. @BuzzSumo helps figure out what content on your domain is driving the most shares across social media. Again, look at this more holistically, over at least the past year. You can also search by a keyword/topic to find the most shared content & related questions. In BuzzSumo, pay attention to what platforms are generating the most shares and what topics are performing best on each. Any free tools you would recommend? Last but not least, you want to look at content from a backlink perspective. This can be done in @buzzsumo, @semrush and @moz, so it’s really whatever your preference is. Just plug in your domain and start evaluating what assets are generating the most backlinks.